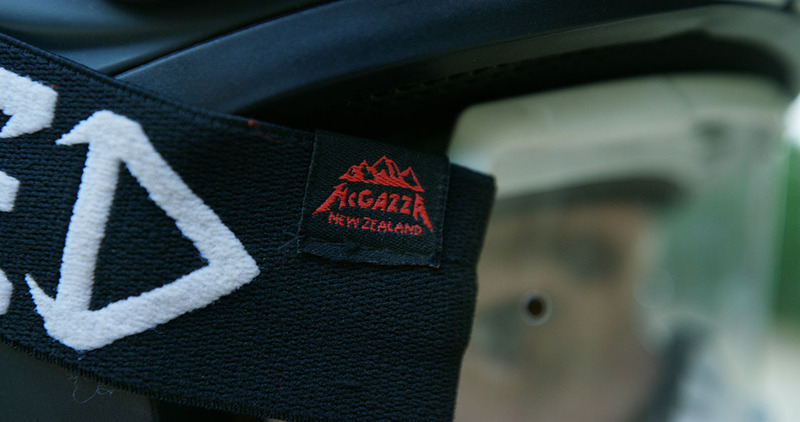 McGazza Fest is a New Zealand event that was created to celebrate the life of freerider Kelly McGarry, who died two years ago while riding at age 33. In January, Giant rider Reece Wallace traveled from his home in Canada to New Zealand and joined riders from around the world as they rode in memory of their friend. New Zealand couldn’t be further from my home in Vancouver, Canada. Yet it feels so familiar. Tall mountains with snow-covered peaks, long lakes meandering through valleys, and dense forests covering rolling hills. Sounds a lot like British Columbia, right? 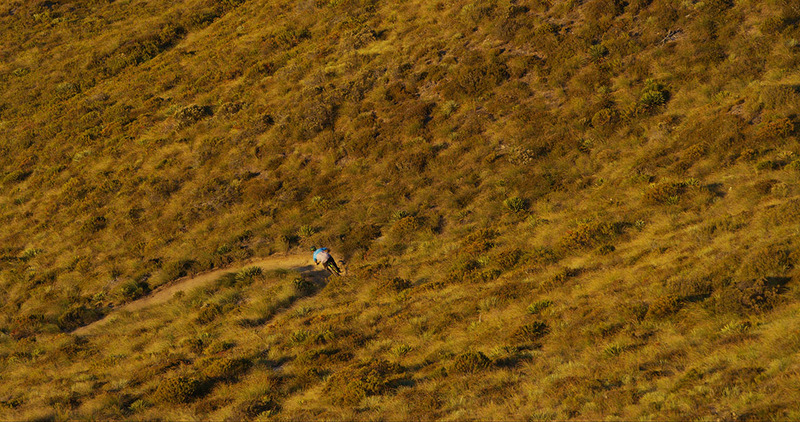 And the mountain biking in New Zealand is incredible, it's a cyclist’s haven in the South Pacific. 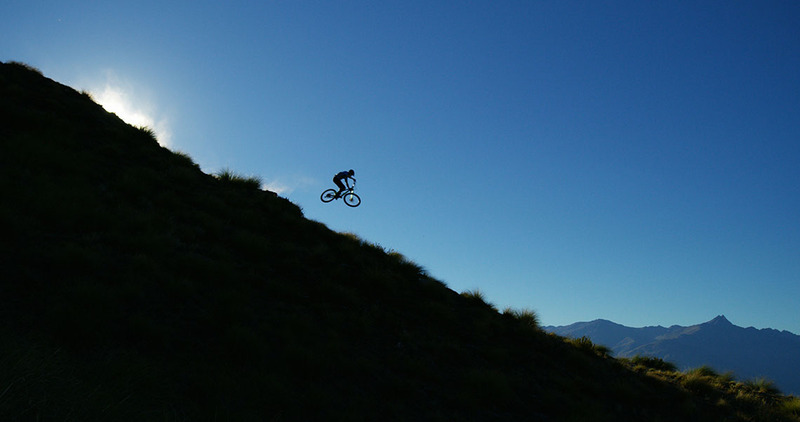 Here, you have everything from XC and trail rides to downhill, jumps and road riding. The riding is on par with Whistler, and I've made it my annual season pilgrimage to come here when it's winter back home. It gives me the opportunity to train and stay fresh on my bike. 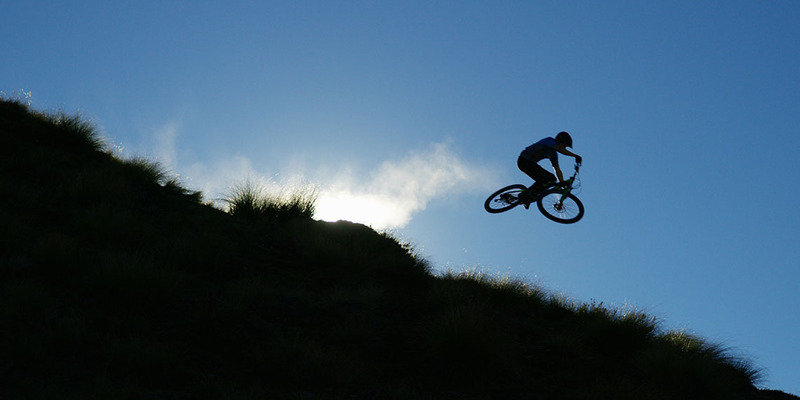 Queenstown is a community that revolves around mountain biking. Everyone is here to have fun. From weekend warriors to world class athletes, you’ll see them all on the trails during the day—and likely at the pub in the evening. Everyone’s keen to go for a pedal, rip some laps, or cruise the jumps in the evening. It's pretty laid back. This mentality is on display at McGazza Fest. 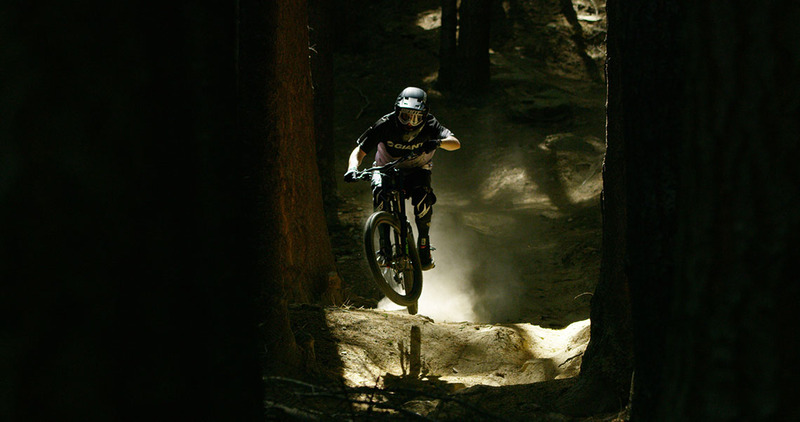 It’s a three-day celebration of mountain biking legend Kelly McGarry. Kelly embodied good times, friends, sending it, and above all else, a big smile. This comradery is everywhere at McGazza Fest as athletes from around the world ride in his memory. 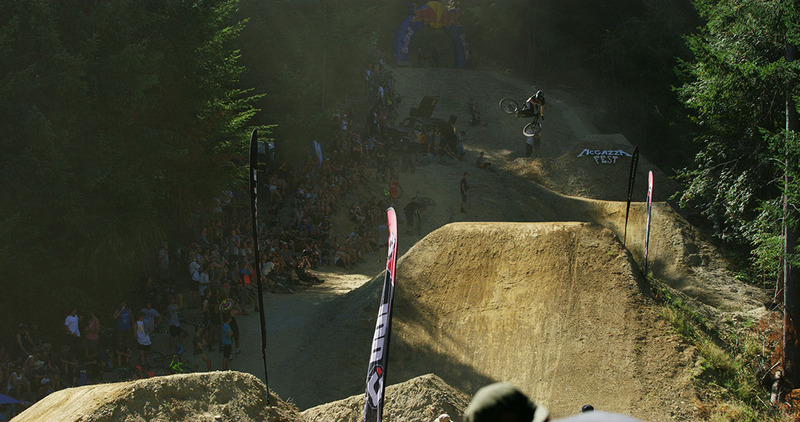 During the first day at this year’s McGazza Fest there was a 300-person train down Skyline Bike Park. I was mid-pack and coughed up dust for a few days after. The main event at McGazza Fest is the Dreamline Jam. Dreamline is an iconic freeride spot with massive downhill jumps. There was a large crowd during the jam, and with all my friends we were able to put on a show. Most importantly, we rode how Kelly would have ridden. I was so fired up with the presence of the big guy that I sent a front flip on my Giant Glory Advanced DH bike. 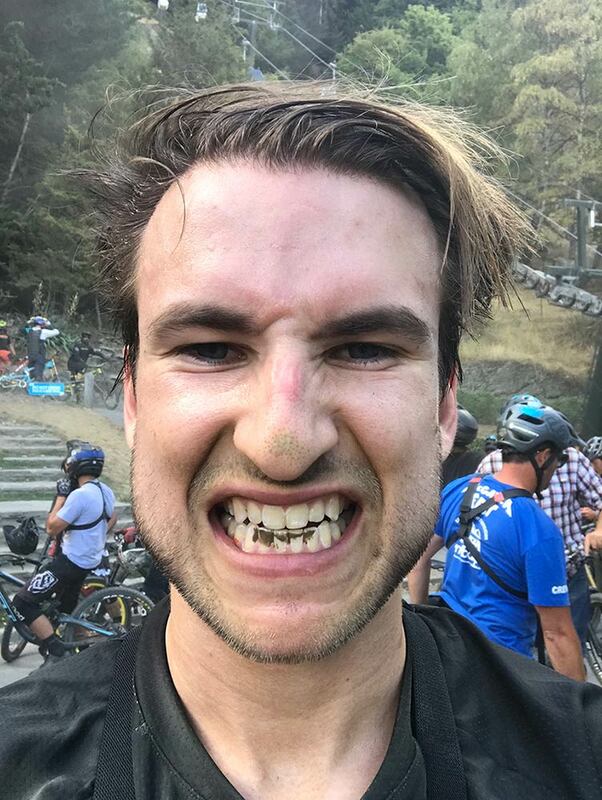 After McGazza Fest, I hit the bike park. It was great to log some time on the downhill bike without having to shuttle or hike. Skyline is an amazing mountain bike park with gondola access. The trail crew regularly closes and maintains the most popular runs, so they’re always in great shape. This summer was one of the hottest on record, and the crew was constantly sweeping, watering and packing the dust. I had never seen this level of commitment in a public park. Traveling can be daunting when the destination is so far away, and I think this deters a lot of people from chasing their own adventures. I do the majority of my traveling and riding solo. So for me, making friends on the road is an integral part of the riding experience and exploring new trails. Within a day or two, I met several riders, some local and others from around the world, and fell into a riding schedule. Before long I was riding with a squad of shredders every day. If you’re lucky, they might even show you their secret trails and have a beer waiting for you at the end. 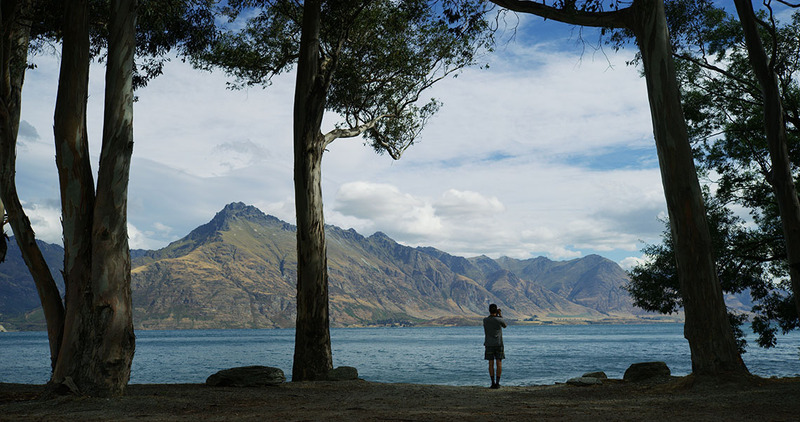 New Zealand was sweet. I can’t wait to come back again for more adventures.